Wellington is the capital of New Zealand and seat of Government. Wellington is a magnet for creative thinkers and is widely regarded as New Zealand’s arts and culture capital. There’s prolific public art, fabulous and funky boutiques and a show on pretty much every night. But as well as all that arty stuff, Wellington’s loved for its gastronomic delights. You might say they like their food and they like it good. How many times have you taken your running shoes to a conference, but never made it to the gym? In Wellington, your delegates can exercise and see the sights at the same time. A hike up Mount Victoria for panoramic views of the city, or a stroll through the Botanic Garden are just a few minutes’ walk away from the inner city hotels. International guests also love the stories of nationhood and heritage as told at the Museum of New Zealand Te Papa Tongarewa, Parliament Buildings and the region’s many boutique museums. Others just like to take their shoes off and sit on the golden sand on Oriental Bay with a good strong flat white. Who could blame them? Wellington is a destination where all the best things in life come together. It’s compact, cultural and cutting edge. Whatever you’re planning, you can rest assured that Wellington offers the goods and the good times to make your event a success. Home to the nation’s decision‑makers, there’s no doubt that New Zealand’s political centre is a convenient and sophisticated place to do business. 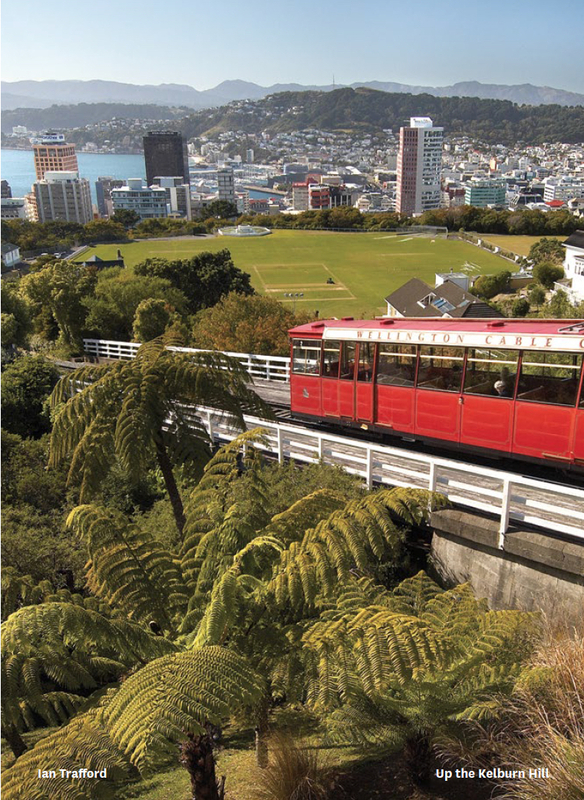 Wellington combines big city chic with small village charm, and is a fantastic conference destination to boot. 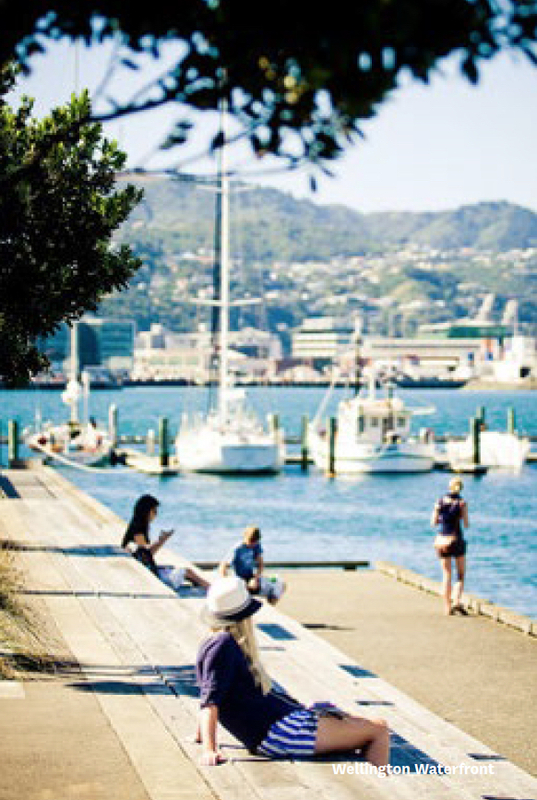 Hugged by a natural amphitheatre of hills and harbour, Wellington is also celebrated as the country’s cultural and creative hub. Pulsing with packed caf.s, bars, boutiques, galleries, public art and museums, the country’s urban heart has been voted by New Zealanders as their most desired domestic destination for good reason. Wellington is renowned for its friendly locals and impeccable service. Wellingtonians absolutely positively believe in their city and that pride transcends into the services they provide. Wellington restaurants have taken out the country’s ultimate cuisine prize time after time and their bartenders, receptionists and hotel managers are forever winning awards. The capital acts as the nation’s transport hub and is easily and regularly accessed by international and domestic flights, inter-island ferries, trains and automobiles. 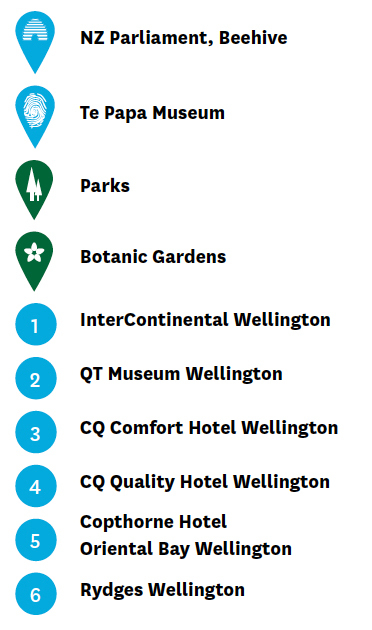 Wellington International Airport is a mere 10 minutedrive from the central business district. Taxis, shuttles and the Airport Flyer bus are all on hand to transfer visitors to the central city. Now that’s service! 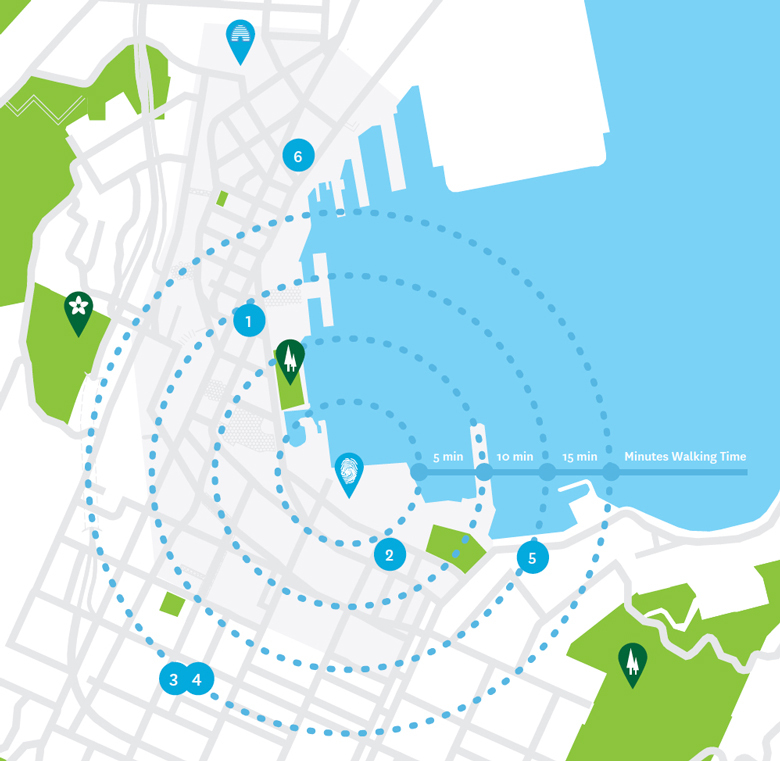 With a city centre just two kilometres in diameter, Wellington is also seamlessly and cost-effectively navigated once on the ground. We can’t guarantee Wellington’s weather— except that it is always interesting. But we can guarantee that you can find everything you mightneed within ten minutes’ walk from the venues or your accommodation—whether it be excellent cuisine, craft beer, or the cultural experience of museums, art galleries and theatres.